Mr. Healy is founder and CEO of Civitas Capital Group, an investment management firm based in Dallas, Texas. Under his leadership since 2009, the firm has been recognized as one of the fastest growing companies in Dallas with assets under management of over $1.3 billion, invested primarily in real estate, lodging and related asset classes. 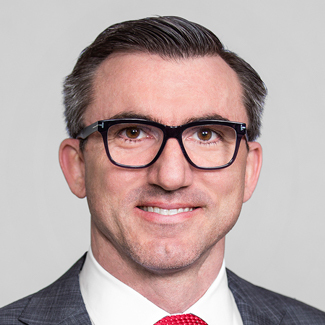 Mr. Healy continues to be responsible for all facets of the firm’s strategic growth, identifying talent, delivering expertise, and ensuring the firm’s two operating divisions, Alternative Investments and EB-5 Capital, have an unrelenting focus on customer service. The growing Alternative Investments group focuses on managing global capital for insurance companies, pension funds, family offices and other clients, while the EB-5 Capital division has become an industry leader, frequently cited for its innovative public-private partnership with the City of Dallas Office of Economic Development. Today Civitas’ EB-5 Capital has an unparalleled reputation for quality and analytical rigor, and serves more than 1,200 individual investors from over 30 countries. Prior to founding Civitas, Mr. Healy held senior executive roles with a boutique real estate investment fund and with Highland Capital Management, LP. Mr. Healy holds an MBA from the Cox School of Business at Southern Methodist University and a bachelor’s degree in government and politics from the University of Texas at Dallas. He serves on the Board of Directors of Invest in the USA (IIUSA), the nonprofit trade association representing regional center operators. An active member of the Dallas business and civic community, Mr. Healy is a member of the Dallas Citizens Council and the Dallas Assembly.